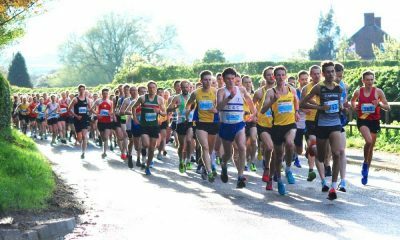 Regional road relays, the Cheshire 10k, half marathons at Garioch, Hastings, Colchester, London, Weston Super Mare, the Forest of Dean & the British 50k & 100k Championships made it a busy weekend’s racing. 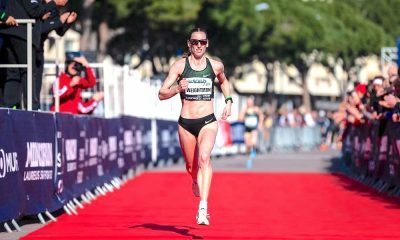 Two- time 1500m Olympian Laura Weightman is proving she is just as talented on the roads with her recent success in 10k races highlighting her endurance is as strong as her speed. 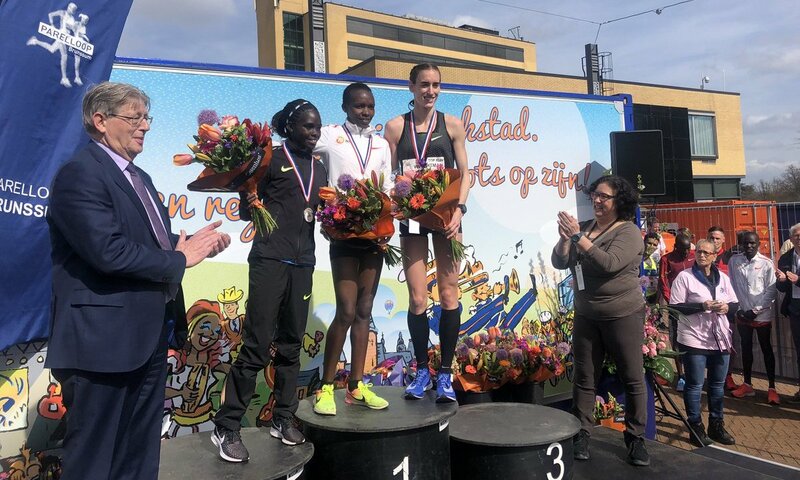 The Steve Cram-coached 27 year-old ran the fastest time for a British woman on the roads in the Netherlands’ Parelloop 10k – 31:39 – since Gemma Steel’s 31:26 from 2014. Only Paula Radcliffe, Lizz Nuttall (nee McColgan) and Wendy Sly have run faster than the pair. Cambridge & Coleridge’s Jack Gray was in imperious form once again when running for England in Parelloop with a 29:21 PB to finish first Brit. Also in fantastic form is Thames Valley’s Paulos Surafel who was the next Brit behind Gray in a PB 29:46, while Liverpool Harriers’ Dejene Gezimu (30:05), Enfield & Haringey’s Will Mycroft (30:09) and Lincoln Wellington’s Lucian Allison (30:26) made up a very strong England team. Wallsend’s Danielle Hodgkinson led the England team’s women home with a PB 34:13. The girls packed well behind, with Leeds City’s Lucy Crookes (34:35) and CONAC’s Dani Nimmock (35:13) ensuring their trip abroad was a successful one. 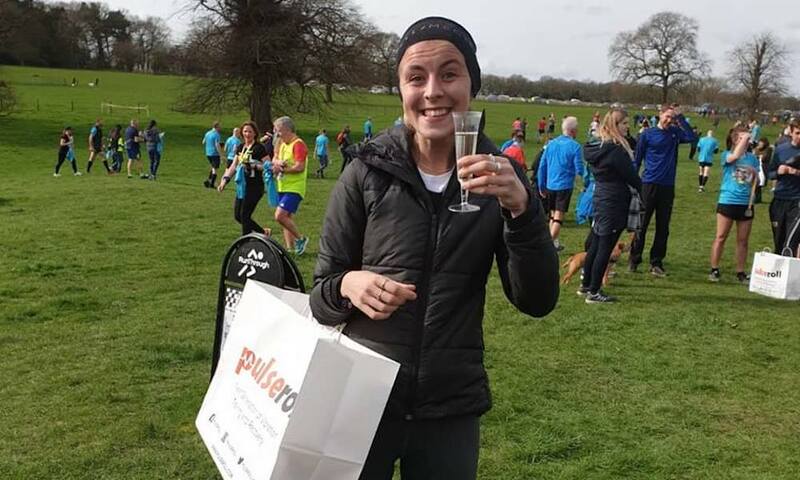 GB ace and Blackburn Harrier Jess Judd was also in PB form at the Cheshire 10k on Saturday (March 23) when she won in a lifetime best equalling time of 32:42. Judd’s time was also a course record, while her partner Rob Warner did well to run a 30:17 PB to just miss the top three. Clayton Harriers’ Laura Hesketh’s 34:37 result would normally win most races but here was only good enough for second. Laura Jane Smith was third in 35:24, making this a very competitive 10k. Mo Abu Rezeq won the men’s race in a superb 29:18 from Leeds City’s Phil Sesmann, while Stockport’s Patrick Martin also ran well under 30 minutes with a 29:48 clocking. 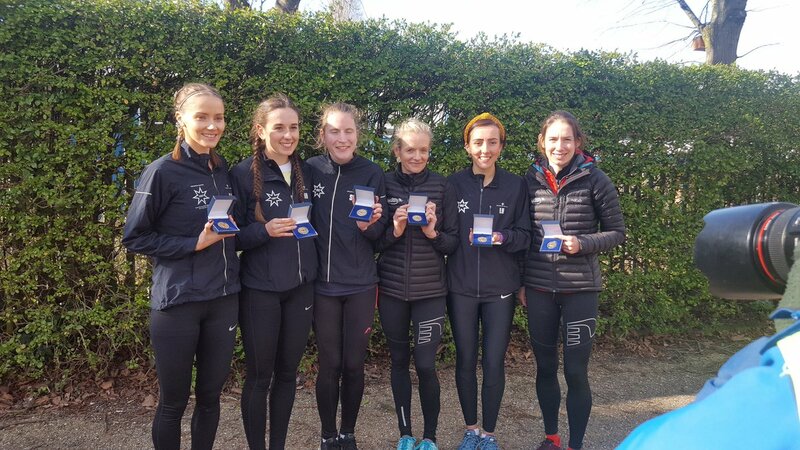 Birchfield Harriers’ women’s team utterly dominated proceedings at the Derby Runner Midland 6 Stage Road Relays on Saturday (March 23) at Sutton Park, taking the title by more than 10 minutes. The Birmingham-based club beat off valiant competition from Wolves & Bilston, who themselves narrowly held off Bristol & West by a far closer margin. It was London marathon bound Hayley Carruthers who got Birchfield off to a storming start, clocking a fast 28:52 for the 5.3m first leg. This proved to be the fastest long leg of the day by 105 seconds, with the club’s Becky Straw second fastest and Bryony Gunn and Amelia Straw taking the first two fastest short legs. Carruthers handed over to club mate Georgie Hartigan with a huge two minutes-plus cushion, and Rebecca Straw, Carlie Baldwin, Jessie Lutwyche and Bryony Gunn all ensured Birchfield retained the title from last year’s event. The battle for the men’s Midland 12 Stage Relays gold was a much tighter affair, with Bristol & West ultimately clinching victory from Birchfield by just 13 seconds. It was Cheltenham & County Harriers’ Phil Wylie who ‘won’ the first long leg in the second fastest time of the day, his 26:20 beaten by Notts AC’s consistently excellent Doug Musson’s 25:59. 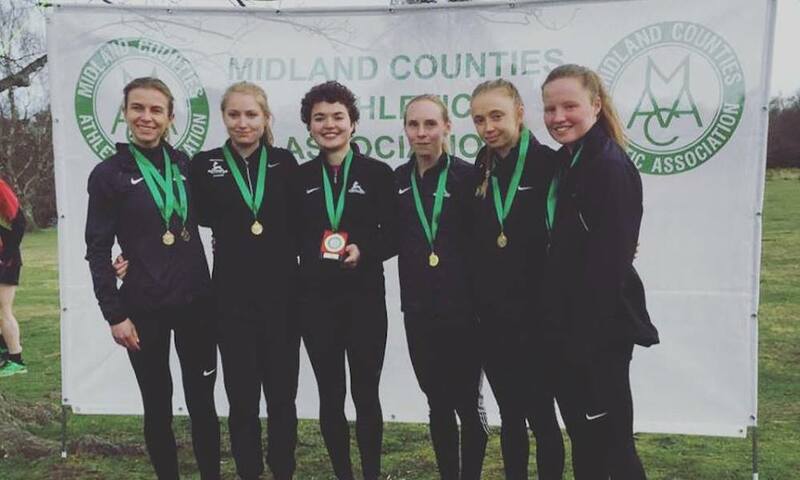 Notts AC were rewarded with team bronze on the day after ‘winning’ eight of the 12 stages, dropping down to third only in the last three legs. Birchfield fought hard with Bristol & West, helped by the former’s GB stars Elliot Giles and Omar Ahmed, who ran the two fastest short legs of the day with times of 14:59 and 15:14 respectively. However, it was Bristol & West who triumphed at Sutton Park, only once dropping out of the top three teams during the event. At the Northern Road Relays in Wirral, Rotherham’s women took team gold from Leeds City and Leigh Harriers while Leeds City’s men won from Sheffield & Dearne AC and Salford Harriers on Sunday (March 24). No further results were available at the time of publishing the weekend report. Southern Road Relay team gold medals went to Herne Hill Harriers’ women and Aldershot, Farnham & District’s men at Milton Keynes on Sunday (March 24). HHH’s winning time was 2:06.37 from Cambridge & Coleridge’s 2:09.04. Thames Valley Harriers took third in 2:10.40. The fastest short leg medal went to HHH’s Katie Snowden in 16:48 while TVH’s GB marathoner Tracy Barlow ran 26:58 to record the quickest long leg. Many thanks to Tonbridge AC’s Mark Hookway for his help with these results. Away from the relays there was an international air of magic at the Run Garioch Half Marathon in Inverurie on Sunday (March 24), with Commonwealth Games marathon bronze medallist Robbie Simpson winning easily. The Deeside Runner took victory in 72:40 from JSK’s Tom Roche’s 76:14, while Garioch RR’s David Barclay joined Roche in the winning V40 ranks with his 79:52 clocking for third. It was a tighter affair at the sharp end of the women’s race with a brilliant victory for AAAC’s Veronique Oldham, the V50 taking the win in 89:23. Close behind was Lynsay’s Lynsay Hay with an 89:44 result, while Rebecca Young also made the podium in 93:16. There were stupendously fast times clocked at the Wilmslow Half Marathon on Sunday (March 24), with Sale Harriers’ Nigel Martin and Wakefield’s Julie Briscoe emerging the winners in a very competitive race. Martin’s time in victory was a very quick 65:26 from Notts AC’s super vet Alastair Watson, who clocked 66:13. Southport Waterloo’s Ben Johnson posted a 66:26 time for third, with the top seven beating 70 minutes. Briscoe just seems to be getting better and better, and today confirmed that with the V40 clocking 77:01 for the win. Finishing fast behind her was Northern’s Sarah Webster from the Isle of Man with a 77:14 PB, while Shrewsbury’s Sara Willhoit also ran very well for third in 78:13. Onto the trails and Notts AC’s Ben Livesey and Bournemouth’s Georgia Woods were the victors at the UK Trail Running Championships incorporated into the Forest of Dean Half Marathon on Sunday (March 24). Both athletes recorded impressive times considering the terrain, with Livesey clocking 70:44 and Woods 81:51. 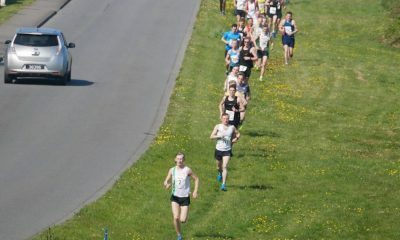 Taunton AC’s Adam Stokes was second in 73:57 while the City of Stoke’s Andrew McQue took third in 78:07. Woods was a convincing winner, with second and third place going to Westbury Harriers’ Emma Dalton’s 88:25 and Vicky Tester’s 88:35. The Colchester Half Marathon also saw some classy performances, with international marathoner Helen Davies and Ramadan Osman taking the top spoils on Sunday (March 24). Davies is impressive in her consistency and speed, and won easily here in 73:50. Rachel Sweatt also ran very well to post a 79:53 result for second, while Jackie Stretton took third in 83:16. Ramadan Osman finished just over a minute ahead of his closest rival to take the men’s win in 68:45. Chris Burgoyne was second in 69:47 while Stephen Strange was third in 72:19. Heather Noone just held off Rachael Mulvery for victory at the Hastings Half Marathon in 81:42 to Mulvey’s 82:14. Megan Taylor was some way back in 87:07 for third. Josseli Polini also had a fierce fight to the line to take the men’s win in 70:56 from Gary Foster’s 71:17, while Rhys Boorman took third in 73:45. Moving up a tad in distance, the British 50k and 100k Championships took place on Sunday (March 24) at North Inches Park in Perth, Scotland. Taking the British 50k women’s title was Hannah Oldroyd in 3:28:07 ahead of Beth Pascal’s 3:35:19. Italy’s Paolo Natali took the win in the men’s 50k in 3:02:14 but it was Kerry Liam-Wilson who finished first Brit and took the Scottish title in 3:13:45. England’s Charlies Harpur was victorious in the men’s 100k in 6:44:05 from Scotland’s Rob Turner’s 6:51:36. Turner’s fellow countryman Kyle Greig was close behind in third overall in 6:54:29. Harpur’s result was another great race for the Mid Essex athlete following his sub-3 hour 50k earlier this year. In addition, with at least three men beating the seven hour barrier it bodes well for the current position and future prospects of ultra running in Britain, and for the strong level of competition at these championships. Sophie Mullins was an overjoyed 100k women’s victor in 8:03:39, with Morgan Windram second in 8:21:36. Dropping back down to the 10k, Sam Yearling and Marie Faithful took the top prizes at the Tamar Bridge 10k in Plymouth on Sunday (March 24). Faithful ran a strong 38:54 to win from Cornwall AC’s Ruby Orchard’s 39:39. Katie Deards’ 41:06 earned her the third prize. Plymouth Harriers’ Yearling won the men’s in 36:00, the U20 beating off older competition in Luke Blakeston (36:28) and Exeter Harriers’ Dominic Spayne (36:46). Colin Snook took men’s victory at the Weston Super Half Marathon on Sunday (March 24) with a 72:04 result, while Bristol & West’s Charlotte Taylor-Green ran a superb 75:46 to win the women’s race. She was fourth overall and took a fine scalp in Rachel Felton, who was second in 79:29. Serane Stone was third in 82:03. Cornwall’s Snook held off Taunton’s Andrew Smith (74:33) and Weston AC’s Kieron Summers (74:44) for the win. Another fast half marathon on Sunday was the London Landmarks Half, which saw podium topping runs from Seyfu Jamaal (68:14) and Catriona Paterson (83:07). Justine Lynch ran well for second in 87:02 to only just hold off Kate Carter by a mere six seconds! Michele Bucci was second in the men’s race in 74:03, nearly six minutes behind Jamaal, while Daniel Shane was third in 74:48. 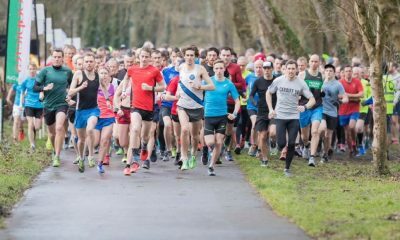 There were some incredible times at parkruns across the UK on Saturday too (March 23), with Hastings AC’s Lizzie Clarke and Middlesborough AC’s Josh Cowperthwaite the country’s fastest this week with 16:39 and 14:39 results respectively. Find out who else made the UK top 10 here.